Gah! If you have a baby, know a baby, might meet a baby some day, get in here! 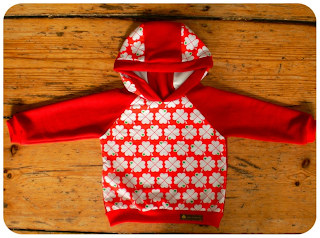 We have the cutest, sweetest hoodies, hats and scarves made by Retrokinder from Germany. Not to be found any where else in NYC! Made with the softest vintage fabrics - these are too special. Range of bright colors and sizes 6 months to 3 years.